What a way to spend a lazy Saturday. 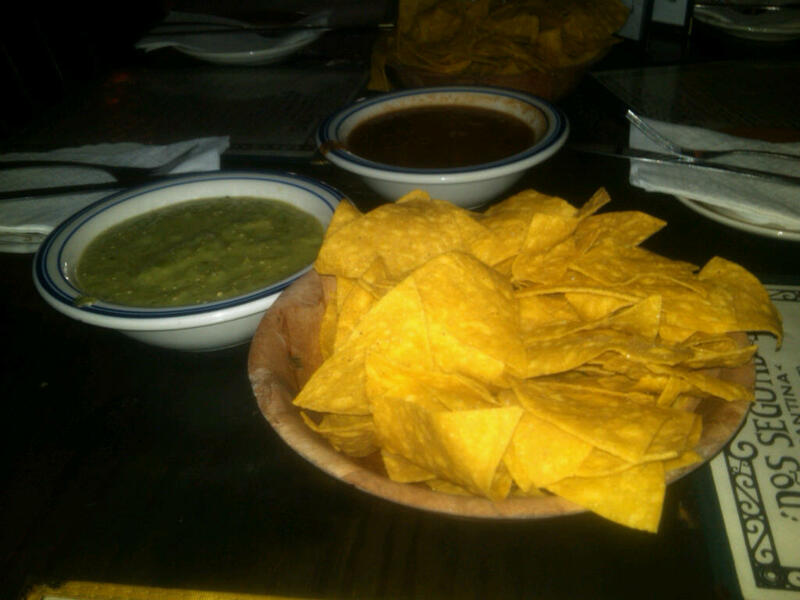 Complimentary nachos with two different salsas. 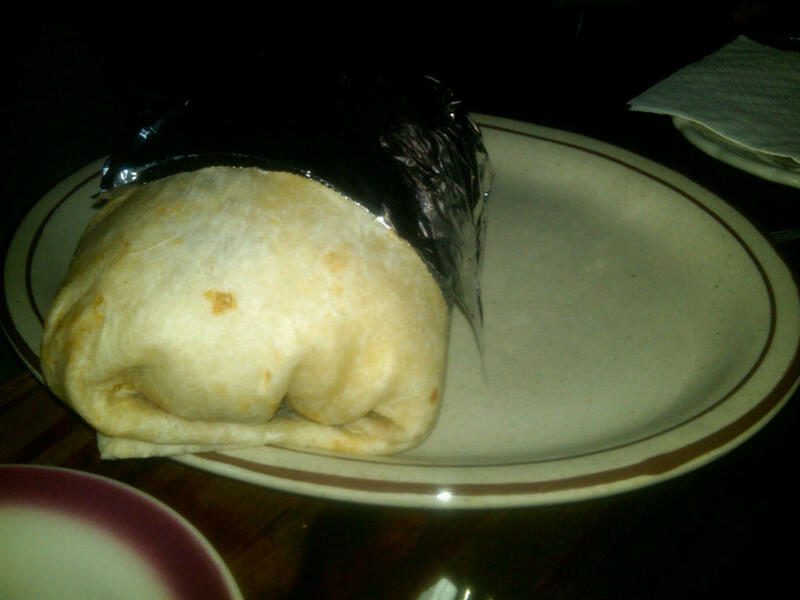 And, of course, the biggest, fattest burrito you could possibly imagine. I abstained (save for a small sip–for research, of course) but there were also phenomenal margaritas including cinnamon-GINGER. Yes, it was even more delicious than it sounds. What a great 2.5 hour brunch with new friends! 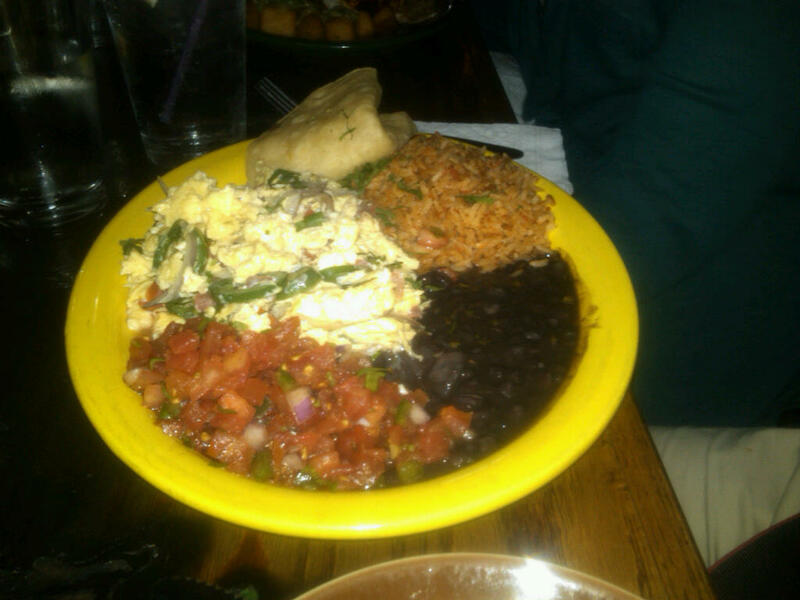 Although all the food looked good the one thing that caught my attention the most was the burrito! 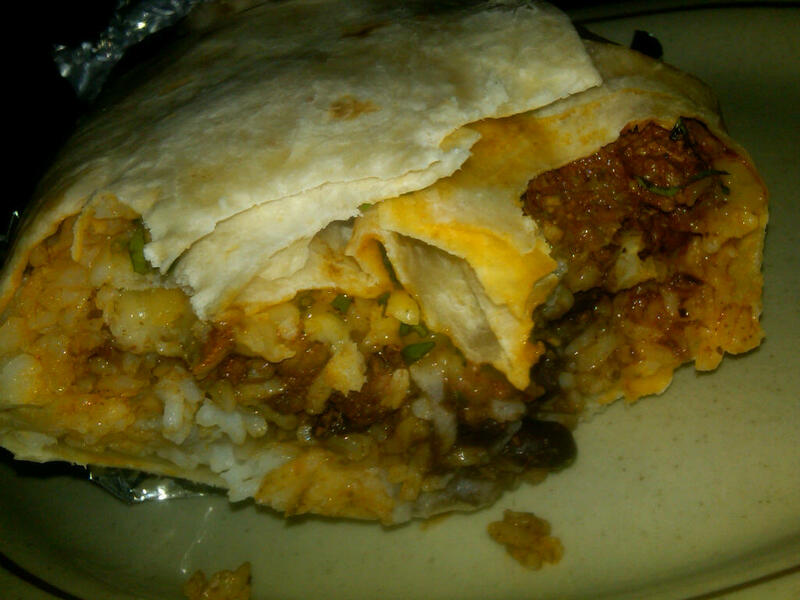 When I saw that picture and saw all the components inside the burrito my mouth actually began to water a little. 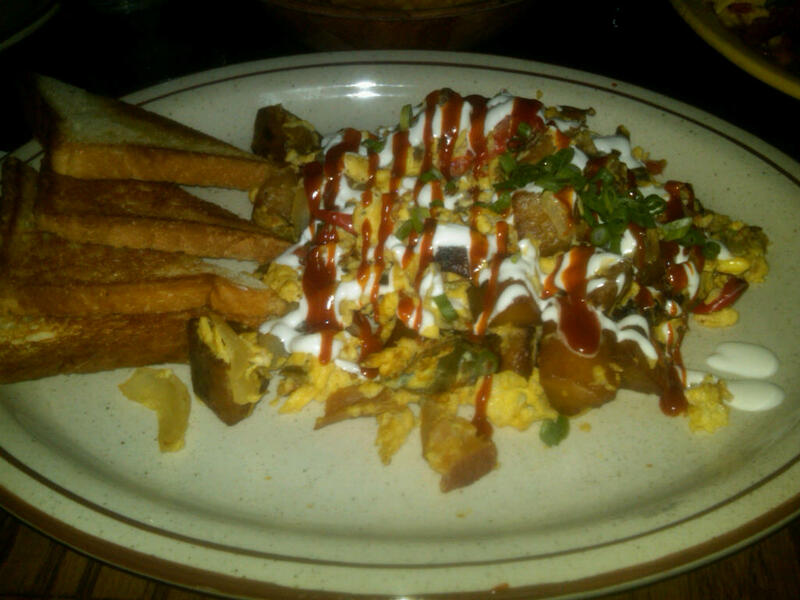 I’m not a fan of eggs I actually loathe them but I would taste the eggs with yuca tots just because there’s so much on that one plate there’s no way I could pass them up. I’m not too sure what’s under the picture of eggs but it looks heavenly! I’m sure you enjoyed yourself eating all this food.